Are you wondering how to train for a 5k when you don’t have places to run? Then you need our 5k treadmill training plan. If you live in an area where running outside is difficult, you can still train for a 5k. In fact, your training can be as easy as going to the living room or your gym. All you need is a treadmill and a plan of attack. In this guide, we’ll show you exactly how to prep for a 5k using a treadmill. Whether it’s your first 5k or you’re a seasoned veteran, you’ll love this 5k treadmill workout – keep reading to get started! Why Try a 5k Treadmill Workout? 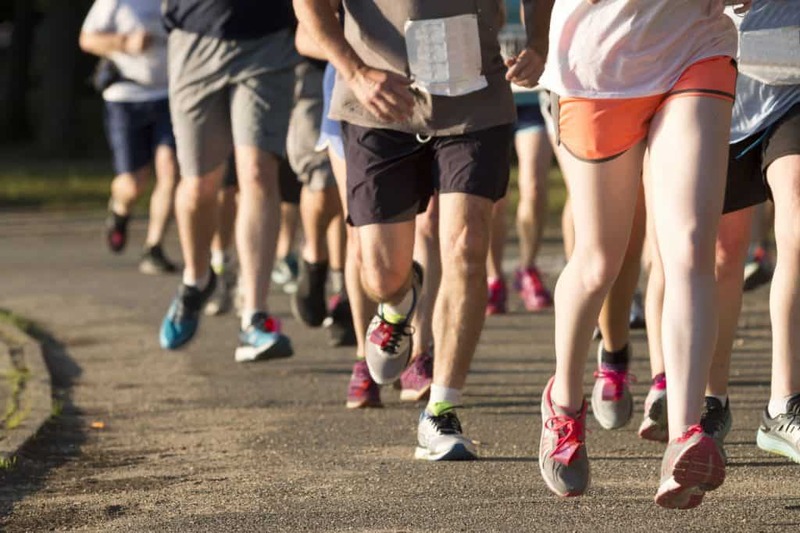 If you haven’t done much distance running (or walking), a 5k is a great place to start. The run is just over 3 miles long, which offers enough of a challenge to work up to, but won’t feel overwhelming for beginners. Training is an important part of getting ready, but training outside isn’t always realistic. Rough terrain, rain, or a lack of safe running spaces can make practicing feel impossible. But when you have a treadmill to work with, the obstacles fall away and you can focus on your upcoming 5k. Whether you use a gym membership or a home treadmill doesn’t matter. With the right training plan, you’ll be ready for your 5k fast. It’s all about including the right blend of intensities, and gradually working up to your distance and speed goals. Let’s take a closer look at exactly how to build up to a 5k with a treadmill. A solid 5k treadmill workout should start between five and 12 weeks before the 5k starts. This way, your body can adjust at its own pace, and your muscles will be able to catch up to this new, strenuous activity. Give yourself about half an hour to train, five to six days a week. Combine jogging, running, and walking during your workouts, and don’t skip your recovery days. Your body needs to be able to rest up before the workouts start again. Ideally, you’ll take one or two days off from your 5k treadmill training plan each week. Walking also serves to let your body recover – do a walking workout two to three days a week, between your more intense days. Rotating between high-intensity and low-intensity workout activities in a session is called interval training. This will improve your capabilities and your endurance levels so you can master the 5k when it comes. Try using intervals of running and jogging so you’ll be ready when race day comes. Interval training is easy on a treadmill – you can just adjust the speed between running, jogging, and walking as needed. Do interval training at least three times each week. Before you start an interval session, give yourself five minutes to warm up at a slower pace. Then, increase the speed to a running or jogging speed for a minute or two, and use a walking interval to recover. A 5k treadmill workout should involve gradually increasing your jogging or running amounts versus your walking amounts. When you start a 12-week treadmill workout, you should spend most of your time walking. You might have a 30-minute workout and do two minutes of walking interspersed with a minute of running until the time’s up. If that’s overwhelming to your body, you can also do 30 seconds of running each interval, and walk for a minute and a half. However, each week, add a little bit more running time. This steady increase will soon have you running for most of your workouts – and it’ll seem easy. Hill workouts are easy to do on a treadmill because you can adjust how steep the incline is. Even if your 5k route doesn’t involve any hills, it’s still a good idea to do some hill training. You’ll have more speed, strength, and most importantly, confidence when you master the hills on your treadmill. For a hill repeat exercise, start by warming up, then increase the hill incline for an interval, followed by a recovery interval. Repeat this until you’ve finished your workout for the day, or follow it with a different workout. You can also add sprints as part of your interval training. As always, begin with a five-minute warmup of walking or light jogging. Then, spend 30 seconds at a more intense pace. Recover with a minute and a half of jogging. Keep up with the sprint intervals, then end with five minutes of cooldown time. Since you’ll be sweating, it’s not a bad idea to keep a clean towel near the treadmill during these workouts. Another good way to design your interval training is with the pyramid method. After your warmup, start running at your target 5k pace for a minute, then rest for a minute. Follow this with two minutes of hard running and two minutes of recovery. Keep adding minutes until you’ve reached your pyramid’s “top,” then work back down the pyramid, ending with your five-minute cooldown. With cross training, you add in another activity besides running. You might use an elliptical, do some yoga, lift weights, or anything else that’s available to you. When you have a 5k treadmill training plan, cross training can be great because it’ll make your training less monotonous. If you find yourself dreading your treadmill workouts, you probably need to break things up a bit. Ready to Start Your 5k Treadmill Training Plan? Learning how to train for a 5k is easier than you might think. This plan has everything you need to get started and work your way up to a successful race! It’s all about sticking to your schedule and not pushing your body too hard. Of course, you can’t start a 5k treadmill workout without a treadmill. Check out our guide to the top treadmills of the year here.